This variation (3040b) may have long or short (reduced) inside cross support - refer to the photo below. Design ID 6270 is used for transparent colors. 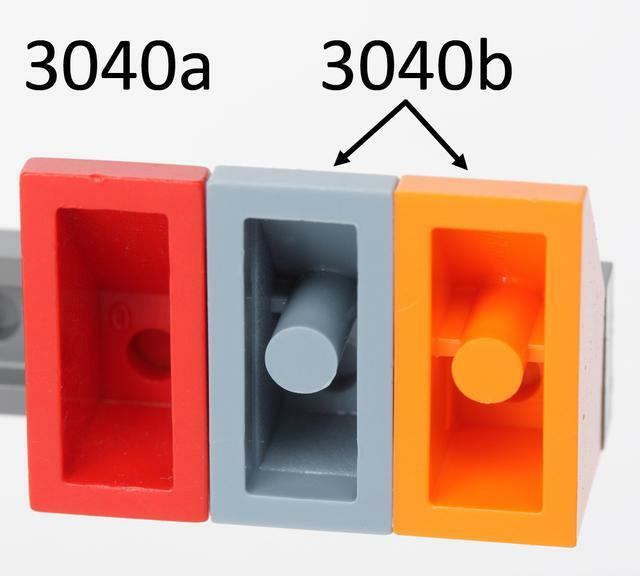 Click on a colored part below to see the Sets and MOCs that use part 3040b Slope 45° 2 x 1 with Bottom Pin in that color. 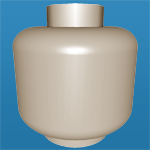 You can find an overview of all LEGO Colors here. 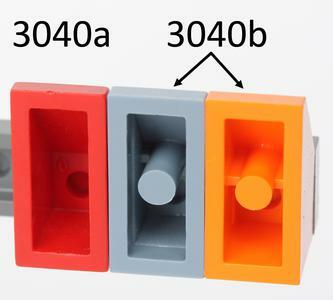 There are 3 Mold variations of part 3040b - Slope 45° 2 x 1 with Bottom Pin in the database, in use between 1978 to 2019. See Molds and other related Parts.